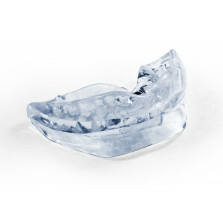 Your SnorBan® device is guaranteed for a full 30 days from receipt for the price of the mouthpiece. Simply return the device to us within 30 days and we will refund your money - No questions asked. Then the purchase price of £45 will be returned with a deduction of handling charges of £5. The total refund will be £40. Despite our knowledge and experience, we cannot state that the use of the SnorBan® mouthpiece will be successful for every individual. However, we do know from the small amount of returns (which, coincidentally, matches figures from the medical trials carried out by the University of Mannheim) that it provides relief for more than 80% of our customers. We have a duty of care to you, our clients, which we strive to honour. It is also very important to us that satisfied users recommend others to SnorBan®. Before you decide to try SnorBan® please consult the ‘FAQ’ page to see if the device is suitable for you.